Stensrud Cabinet Company was founded in 1993 by Glen Stensrud, a fourth-generation Missoula area native. At that time, the shop was small, employing only one or two people doing custom woodworking projects. With superior quality and customer service being the most important elements in the business, the reputation of the company quickly grew. Kelly Stensrud worked part-time with his dad while attending The University of Montana. After graduating from school with a degree in management and an impressive football career, Kelly joined his dad and they formed a corporation with a new location, and a 10,000-square foot, state-of-the-art facility. Glen and Kelly strive to stay on the cutting edge of technology and recently have added a CNC Machining Center and a Weinig moulder to compliment their vast array of their tooling resources. Today the company employs the two owners, five quality craftsmen, and a receptionist. Stensrud Cabinets prides themselves with the trust people have placed in them and the diversity of the products they are able to produce. 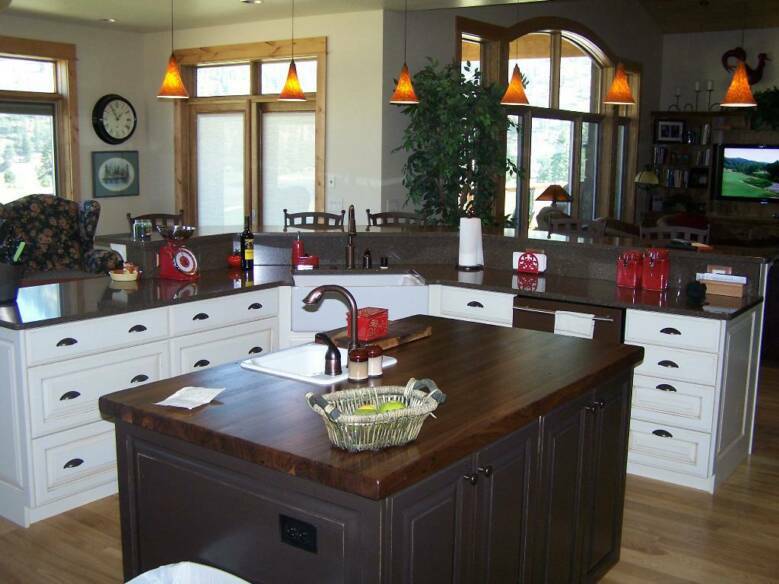 They specialize in cabinetry and furniture for high-end custom homes and commercial facilities. 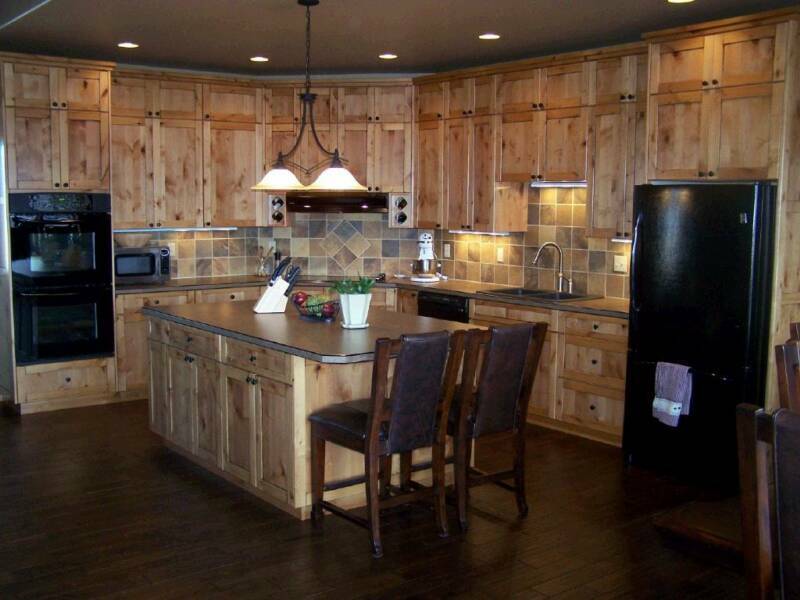 They work very closely with homeowners, contractors, architects and designers in the Missoula area and have produced superior quality products in many custom homes, office complexes, medical and dental facilities, educational buildings, financial institutions, golf courses, and dining establishments.